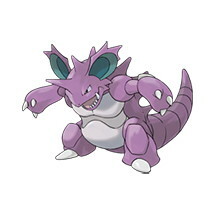 This page contains all the information available for Nidoking in Pokemon Ultra Sun and Moon including the moves learnt by level up, egg moves and TM moves. Rivalry Attack & Special Attack is increased by 25% if the foe is of the same gender; Attack & Special Attack is decreased by 25% if the foe is of the opposite gender. Sheer Force Moves with a secondary effect are increased in power by 30% but lose their secondary effect.